Right Click Popup Menu in Text Editor Is very important to do any work in easy way. because with this popup menu, a programmer can provide many types of useful functionality to user in mouse right click. With This Menu, we can provide many features like copy, paste, cut, select all, undo, redo and many more right under the click of mouse. So, In this Tutorials, I will show you how to add simple right click context or popup menu in tkinter text widget. To Add this menu in tkinter text widget, first we will create a simple menu object in which we will add our all options buttons like copy, cut , paste and select all. 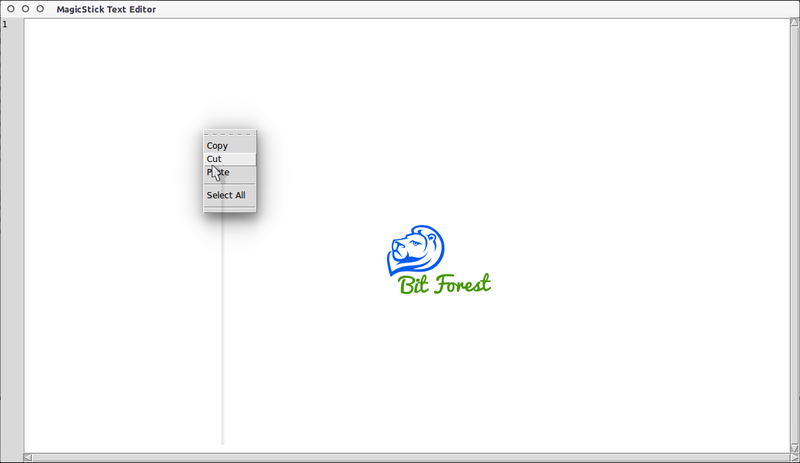 And Then, we will bind that menu object with mouse right side button click to show menu under the cursor. To make this script easy to understand we will create a separate empty script in "magicsticklibs/" folder and write our codes in it. Place "PopupMenu.py" In Our "MagicStick/magicsticklibs" Project Directory. Add "PopupMenu.py" Function in Our "ConfigSettings.py" because in this project, "ConfigSettings.py" is responsible for joining libs in main stream. Boom! Our PopupMenu.py script is now connected with MagicStick Project. To run this script in main stream of project. just run "main.py" script or you can also run this script alone and parallelled without touching project main stream just run "PopupMenu.py".